Product Show: The earring size about 35*17mm. The pendant size about 42*30mm. The main stone size about 5*5mm. 4. Notice Please note that the price on alibaba is for your reference . The actual price will be different from current price of raw meterials ,exchange rate ,and your order quantity. As you can see, our company has a strong competitives and great qualified in our business area. 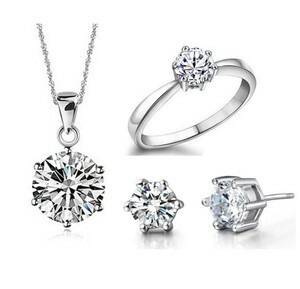 Alibaba.com offers 245,041 wedding jewelry sets products. About 62% of these are jewelry sets, 18% are zinc alloy jewelry, and 16% are silver jewelry. 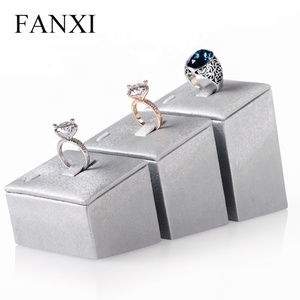 There are 242,326 wedding jewelry sets suppliers, mainly located in Asia. 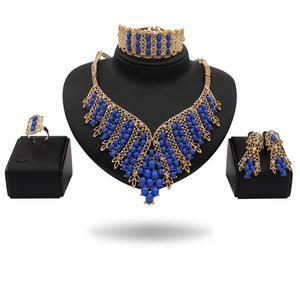 The top supplying countries are China (Mainland), India, and Turkey, which supply 91%, 7%, and 1% of wedding jewelry sets respectively. You can ensure product safety by selecting from certified suppliers, including 24,903 with Other, 7,715 with ISO9001, and 1,208 with ISO14001 certification.